James Westmoreland has been confirmed for the Team WFR Honda team for 2012. 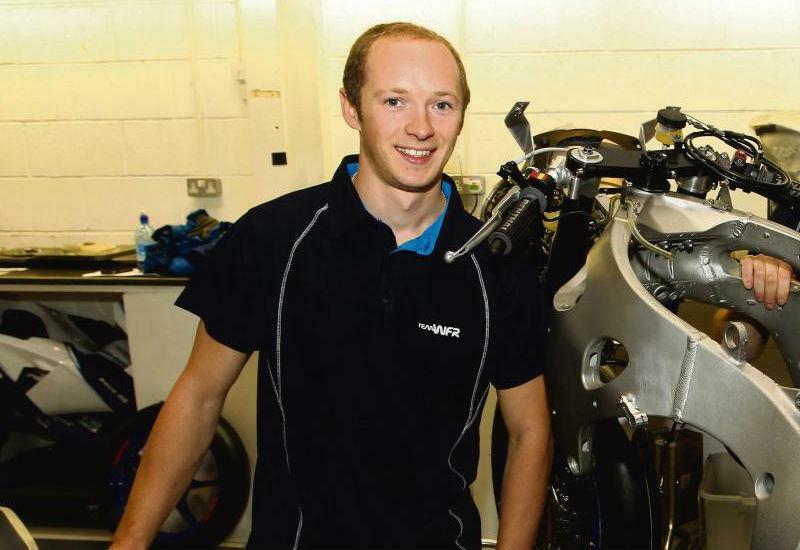 He joined the team late in the season from Motorpoint Yamaha, James Westmoreland and rode their 2012 development bike in the last two races of the season. MCN asked him about his deal for the forthcoming season. How good is it to have signed so early for next year? It’s a mega deal for me. I didn’t have the best of years and I really appreciate having something as good as this to look forward to in 2012. You’ve already been testing in Spain at Cartagena and Guadix. How different was the bike to the initial 2012 build you rode in the final two rounds of the 2011 season? The Evo bike was good and the bike I rode at the end of last year was a step forward. The engine was quite a bit different and we tried different suspension set-ups, swing-arm pivot points, offsets, and clutches. We ran all the different permutations at both tracks so we knew there would be no false readings. The changes haven’t altered the driveability off the bottom end (the strong point of the WFR Honda last year). WFR are running a three-man team again when everyone else appears to be sticking to two-man teams. Does that bring compromises? They’re used to running a three-man team and have the budget and staff to continue with that. There was also a suggestion last winter of you riding for WFR but you went to Motorpoint. What was the story for your side? It’s true, there was an option last year, but I underestimated how strong the WFR team would be last year in their fist season of superbike racing. Now I have a second chance. I know how much effort this team is putting in. Even the test programme is impressive. No other team would have done four days in Spain before Christmas like that.